Pi Day is around the corner! A few of us will be at SX Create, which is part of the SXSW Interactive festival. We’ll have a few demos and hands on activities that we’re excited to share. We’ll also be surrounded by companies, products, and organizations all related to hacking and tinkering with technology. Even though we’re especially excited about Pi Day on Saturday, we’ll be there for all of SX Create, which runs from March 13 to 15 and is free and open-to-the-public. We’ll also be joining our friends from Wolfram to celebrate “Super Pi Moment” on 3/14/15 at 9:26:53 am. They’ll have a countdown, FREE Pi(e), contests, and a special “selfie station” to capture the moment. This event is open to SXSW Interactive attendees and is right outside the Austin Convention Center. You’ll want to get to The Computer History Museum’s Pi Day Celebration early since visitors who arrive before 9:26am that day will be given free admission to their fantastic museum. And if you’re a little late, you can enjoy half-off admission until 10am. From 11:30am until 6:00pm, there will be Raspberry Pi workshops and a showcase of projects followed by Pie, Pizza, and Pints until 6:00pm. Students, makers, and creatives are invited to bring their Raspberry Pi creations to compete for prizes, prestige, and ­ most importantly ­ bragging rights! In addition to the project competition, workshops and labs will be held for people just getting started with the Raspberry Pi, and for those interested in learning how to get the most out of their Raspberry Pi creations. Visit their site for more information about this Pi Day event. 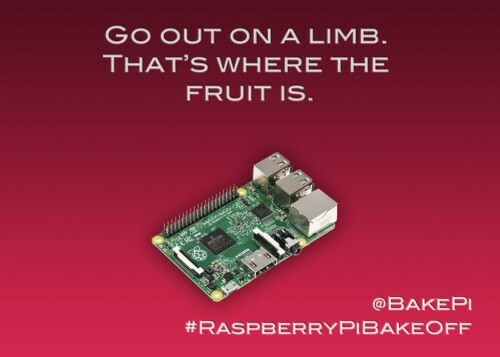 Upper Lake Library will be having a Raspberry Pi Day at 310 Second Street in Upper Lake, CA from 10:30am to 12:00pm. They’ll be running an introduction to Raspberry Pi workshop and hope to start a user group. Check out the MORE Raspberry Jam at the MOREnet offices in Columbia, MO from 1:00pm to 4:00pm. They’ll have people presenting projects there, you can join in; just click here to register to attend or show off your Raspberry Pi project. Maui Makers is hosting Pi Day in their new space in Wailuku Hawaii. Their celebration runs all day with multiple events throughout the day. You can come to learn about Raspberry Pi or show off what you’ve done with our computer. As a part of Teen Tech Week at the Mobile Public Library, Mobile Makerspace is having a Pi Day Celebration complete with demonstrations of 3D printers, quadcopter drones, Arduino, and of course Raspberry Pi projects from 10:00am to 1:00pm at Ben May Main Library. In the DUMBO neighborhood of Brooklyn, digital agency HUGE is hosting a Pi Day Hackathon. Participants get 3 hours and 14 minutes to make a pi-themed creation (numerical constant, food, or Raspberry related) and then have 3 minutes and 14 seconds to show it off to the others. RSVP is required, so click here for more details and how to register. For students in grades 6 to 8, Beam Center is holding a Raspberry Pi workshop from 12:00pm to 4:00pm. Here’s what they say: “we’ll show you some examples of projects make with Raspberry Pi, show you how to hook everything up, and do some programming in Python to connect to Twitter API and control hardware by tweeting. Beginners and experienced Pi-users welcome.” Registration required. Buffalo Lab, a makerspace, is holding a Pi Day Celebration with Raspberry Pi workshops, Pi projects, contests, giveaways and pie! The party starts at noon and carries on until 6pm – RSVP if you’re planning to go. JC Fab Lab is participating in Jersey City’s Pi-E Day at the Liberty Science Center, an event which benefits Learning Community Charter School (LCCS). JC Fab Lab will be conducting an original Pi-E themed game, the Raspberry Pi Simon Cooperative Game. Using the Raspberry Pi powered game stations, kids play a 4-person team version of the Simon memory game. Each round that is successfully played by any of the players will add a digit onto the sequence of Pi. Beyond just playing the game, kids will have the opportunity to build their game station by wiring together the circuit required for the game interface. Ocean State Maker Mill in Pawtucket, RI is hosting a free open house to celebrate Pi Day with Raspberry Pi demos and homemade pie snacks. There you can see demos from OSMM members, or bring your own work to show off to others. They’ll be kicking things off at noon on Saturday and will be continuing the fun most of the day. Their address is 80 Fountain Street, Unit 318, Pawtucket, RI. Adults, teens, and tech-savvy kids are welcome to attend the Cummings Library idea lab, where they’ll show off Raspberry Pi from 2:00pm to 4:00pm. Stop by to play and we hear that they’ll even throw in a free slice of pie. Melbourne Makerspace in Central Florida is launching their Pi Day Celebration at pi moment, that’s 9:26am. RSVP here if you’d like to attend. The Fairfield County Makers’ Guild is celebrating their one year anniversary and they want to show you what they’ve been up to! Join them on Pi Day for their open house from 10:00am to 2:00pm for demos, project workshops, and so much more. In the Fox Room at the Rutland Free Library, the Rutland Tech Club will be convening to talk about Raspberry Pi and to eat raspberry pie from 1:00pm to 3:00pm. Please see their site for more details and to RSVP for the event so that they know how much pie to have on hand. Hill Country Science Mill will be doing Raspberry Pi Minecraft demos at 11:00am, 1:00pm, and 3:00pm. 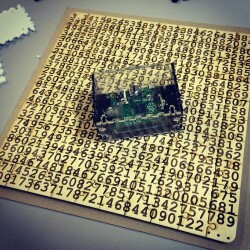 In addition, they’ll be offering pies for sale and inviting visitors to help build a pi chain one digit at a time. More details can be found on their Facebook event page. Buffalo Lab, a community of technology enthusiasts, is holding a Pi Day Celebration that will include various workshops throughout the day so that novice Pi users can learn from more experienced enthusiasts. There will be two Getting Started with Raspberry Pi workshops, as well as Raspberry Pi example projects. RSVP required. The array of vintage televisions to the right is by Joseph Hazelwood, Phillip Lehner, Robert Campbell, and Patrick Sheehan. 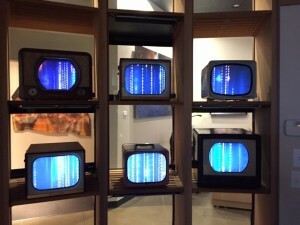 It’s a fantastic Raspberry Pi-driven installation that will be on display for Pi Day at OZ Arts Nashville. There will also be other pi-inspired artwork and a panel discussion with Laurie Anderson, Mark Hanf, Cano Ozgener and Mark Rowan. Doors open at 9:26am (of course) and Pi Day programming runs from 10:00am until 2:00pm. of course up ‘ere in Yorkshire we celebrated our transcendental number back on 27th Jan 82 with a pint of bitter at 8:18:28 – by gum! We will organize the first piday in Africa it Will be in Morocco. hmmmm…. nice but I would appreciate if such things were held in DELHI too instead of just Bangalore in India. All these events are organised, not by us, but by local Raspberry Pi fans. All you need to start off is one other person and somewhere to meet – if you’d like a Delhi Pi Day event, you can make that happen! There’s more about how to run a jam at http://www.raspberrypi.org/jam/how/. As I replied to another commenter, all this is organised by local Raspberry Pi fans – it’s not us deciding where the events will happen, it’s all of you! You can make a local Pi event happen, and there’s more about how to do it at http://www.raspberrypi.org/jam/how/. You can start small: some of the most successful jams began with just a couple of interested people meeting up, and grew from there. are there any in or around Richmond, VA? Looking forward to PiDay 20150314 and seeing all the global activity and buzz! Pi(e) for all and all for Pi(e)! A gift for all Raspberry Pi 2 owners from Rohith Madhavan as Pi day approaches. He has ported Ubuntu Mate 15.04 (official beta release of this OS is this April) to Raspberry Pi 2 . Please have a look at ubuntu-mate.community site. 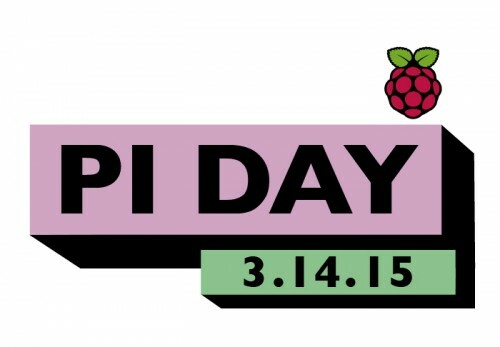 Bermuda will be celebrating Pi Day at the new Chewstick, 81 Front St.
Come along to see what raspberry pi’s can do. As part of the 2015 Women in Science Festival, this Pi Day – 14th March – there will be a demonstration of 4273pi Bioinformatics for Raspberry Pi at the Dundee Science Centre. Drop in any time. begins on 3.14.15 at 9:26 a.m. at the EcoTarium! In celebration of *The Ultimate Pi Day*, the EcoTarium will open its doors early on Saturday, 3.14.15 at 9:26 a.m. in recognition of 3.1415926… the starting sequence of the mathematical constant Pi, used in the world of math to measure circles and spheres. Our friends from Table Talk Pies will be here with delicious treats and giveaways for the occasion. Come dressed as Albert Einstein as we celebrate his 136th birthday, too! We are commemorating the day with Pi and Pie! In the morning, make a musical pie-plate instrument and join us in a Pi digit parade to start the festivities. Throughout the day, enjoy Pi-themed math and science programs, and learn about the science of making pie dough from Table Talk Pies bakers. Join in our community pie eating challenge, to see if a whole room of people can finish scrumptious Table Talk Pies in less than 3 minutes and 14 seconds. Take a 3.14 minute walk outside to see our birds of prey or our foxes! Check our web page for more details. Everyone is welcome! We’re not coming anywhere – these events are all being set up by members of the community! Well, we missed out on 3/14/1592… But we could get to 3/14/15926 in a few millenniums!